Recently, the new activity tracker called the Mi Band 2 has been launched by a China based company Xiaomi. 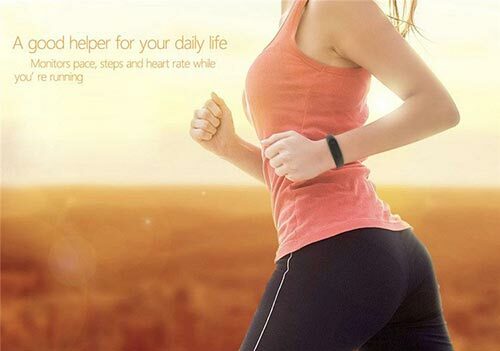 With few pre sales promotional events, the fitness tracker was officially launched on 2nd June. This has been created as an extension of the already popular wearable and as a result, it offers various additional features. This device is made for fitness experts, fitness enthusiasts, and all those who like to keep track of their organized routines. This company had already released two fitness trackers before this one, i.e. Mi Band and Mi Band Pulse. The new Mi Band 2 is highly upgraded and full of eye-catching features. It enables end users to keep track of your activities and regulates your heart rate. Xiaomi is already popular for their combative pricing strategy and a wide range of electronic products. It has an amazingly exciting feature, i.e. OLED display which enables end users to have access to time and step count. The display not only gives relevant details to end users without allowing them to make efforts to scroll down but it also shows your progress and time simultaneously. The Mi Band 1 activity tracker was cheaper than this one and it was followed by a pulse regulating device, Mi Pulse. The basic design of the first two devices is incorporated in Mi Band 2, which means it has a delicate silicone band and an egg shaped module. One more interesting fact is that these silicone bands can be replaced at regular intervals of time. 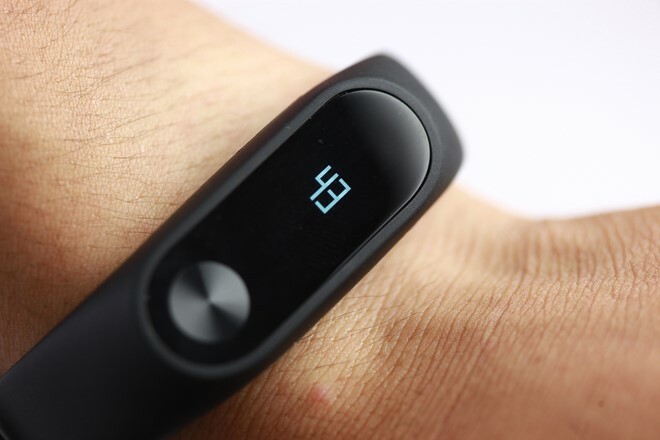 Mi Band 2 has a small button at the screen’s bottom which enables an end user to scroll down and have access to different displays. 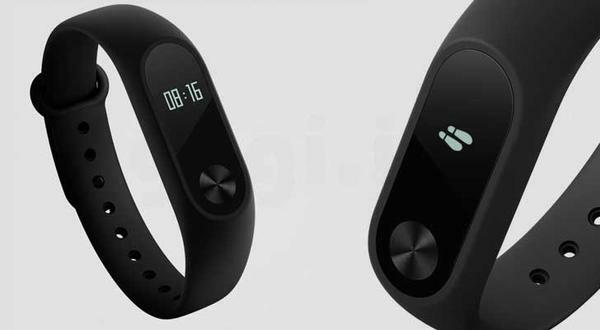 However, additional features that make Mi Band 2 different from the previously released two activity trackers are .42 inch display, an extremely upgraded pedometer algorithm, and a long lasting battery with a battery life of 20 days. The considerable growth in battery life is actually dominated by the high increment in its price but it does not look as expensive as the products from Fitbit. As a result, Xiaomi surely has a competitive advantage over its competitors as far as activity trackers are concerned. This new fitness tracker has imbibed various advanced technological features on board and it does not only track your sleep patterns but it also helps you in receiving notification prompts. Till now, the company has managed to sell over 20 million fitness trackers, which makes it the second biggest fitness tracker manufacturing company. Mi Band 2 is not only more expensive than its first installment but it is also flashier. It monitors your heart rate which is an important feature as this technology is extremely unique and it turns out that Mi Band 2 is going to be the cheapest activity tracker to have it. Generally, most fitness tracking devices with the heart rate monitoring feature are available at 100 US dollars or more than that. It has already captured a highly significant market share and the company has planned to start selling the product from 7th June onwards in China. Apart from all the mentioned features above, Mi Band 2 also acts as a sleep monitoring device and it vibrates if an end user is stationary for a long time. Of all its features, its OLED display and heart rate monitoring feature are the key to its success. It is going to act as an extension to headphones through Bluetooth 4.0 connectivity and it would send you notifications to inform you about calls, messages, and offers from other applications. OLED display is the most attractive feature of Xiaomi’s Mi Band 2 as it would enable an end user to have a more satisfying experience. Xiaomi’s pricing strategy is expected to become one of the major attractions as one would not mind to buy a $23 fitness tracker considering that other competing products are sold at or over $100. Various online retailing agencies have already started booking pre orders, for example Tiny Deal has offered it for $42.99 and Geekbuying has managed to offer a discounted rate, i.e. $39.99. Moreover, it is highly recommended but do not try to find Mi Band 2 in the US in the near future since its predecessors took over half a year to start existing in North America. The Mi Band application can also be accessed in order to customize the parts of data to be displayed on the product’s screen. Shahid Abbasi is a big time tech geek working with one of the best Top mobile application development company, Peerbits & Yelowsoft. He has a proven efficiency over designing mobile apps for the enhanced UI/UX for websites and mobile apps. Moreover, he likes to share his knowledge over a series of technical blogs to make himself more resourceful globally. Over the weekends, he transforms himself into become an awesome cook.